On top of providing Everyday Noise with engaging stories from their mini-tour, Francisco The Man is also giving away their EP Friends Like You for freeeeeeeeeeeeeeeeeeee. Yes, for friggin freeeeeeeeeeeeeeeeeeee! This is another reason why we heart them. Click Buy Now, underneath Digital Copy. Type in $0 if you want it for free. Then a link to download the EP will be sent to your email. Inland Empire’s Francisco The Man have been sharing their stories with us while on the road. Day Six: High Dive, Empty Pool. Last time I wrote, the four of us were relaxing with a cup of coffee in Fremont. Currently, we are 30 miles outside Modesto on Interstate 5. Between the two, having played our final show of tour, driven straight from Seattle to San Francisco hopped up on a bunch of pills some chick sold us, recouped with pizza and cold Tecate, and once again slept in the most comfortable pull out bed San Francisco has ever known. Well, we finally made it to Seattle. 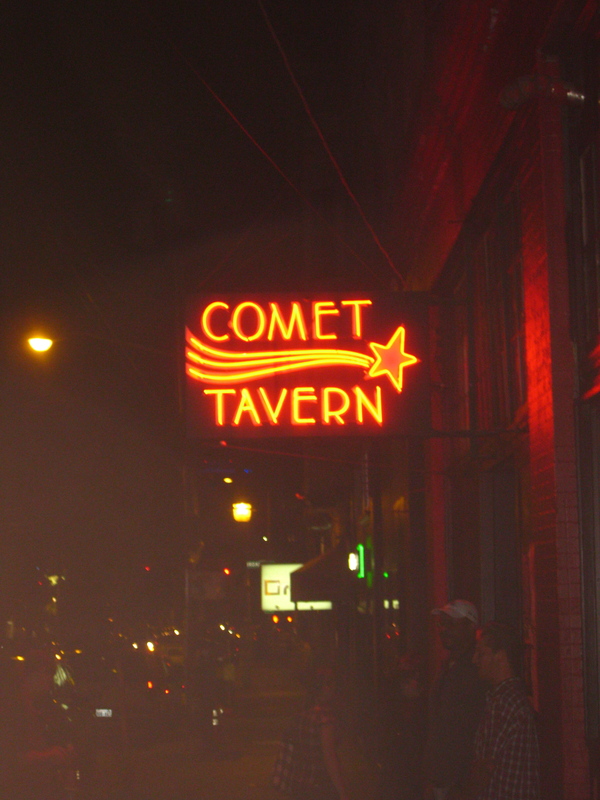 Between yesterday’s traffic and our lack of interest in leaving the Portland crew, we didn’t have much time to spare before our load-in time at the Comet Tavern so we decided to head straight there. I had heard a lot of good things about the club, so I was feeling fairly optimistic in regards to the show. 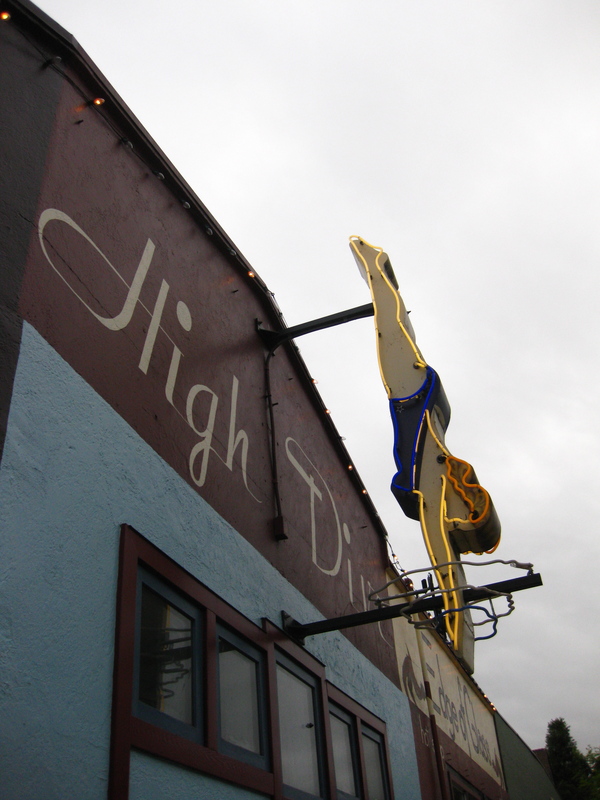 Once we arrived, it was pretty apparent that the place had a built-in crowd of it’s own and was probably somewhat of a live music staple in the Capitol Hill neighborhood. Inland Empire’s Francisco The Man have been sharing their stories with us while on the road. Read #1 here and #2 here. Initially, I thought I would have an easier time blogging from wherever we were crashing than from the road, but I’ve found it to actually be the opposite. To be honest, the last thing I wanted to do in Portland was get on the computer and talk about myself and I certainly don’t expect anything to change while in Seattle. 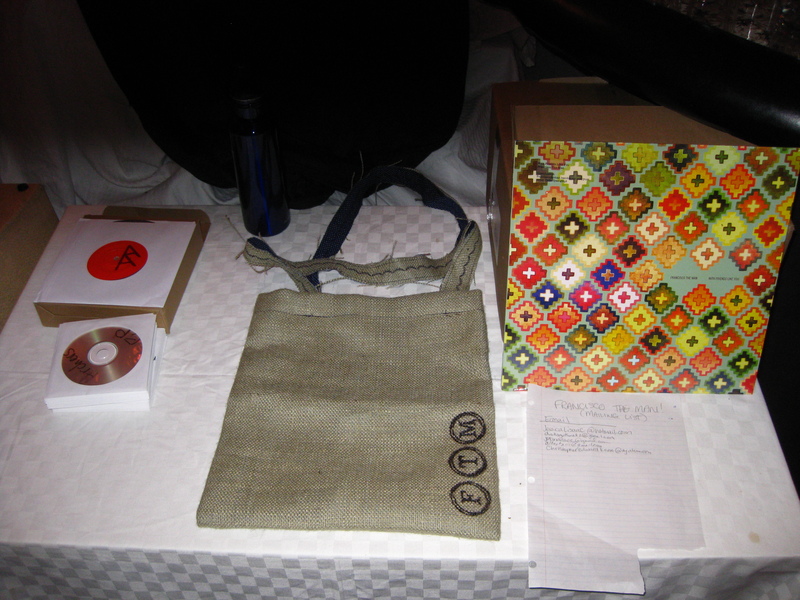 However, on the road, I get bored pretty easily and this is about all I have to do – besides reading. Point is, I’ve slacked a bit on blogging the last few days so I’m going to kill two days with one blog. 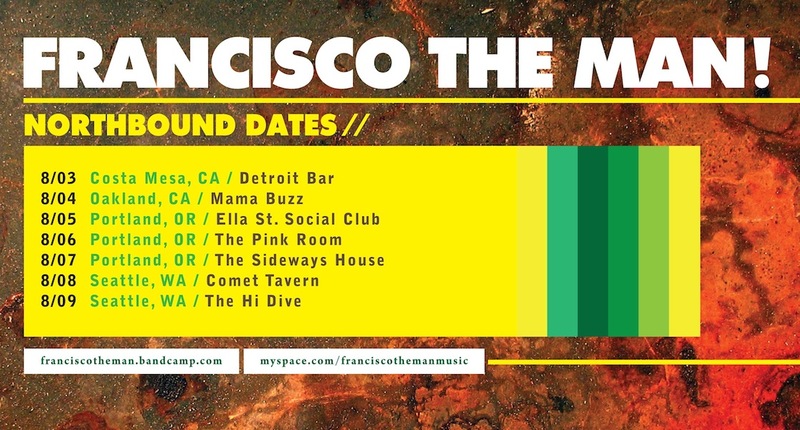 Kicking off their west coast mini-tour at Detroit Bar for Everyday Noise presents this past Tuesday, Inland Empire’s Francisco The Man will be sharing their stories with us while on the road. And here we go with #1. Well, it’s official. Tour has begun. It seems kinda lame to refer to our northwest stint as a “tour” but at least it sounds cool. After having a solid show at Detroit Bar on Tuesday, we rushed home, slept for a few hours and hit the road for our show in Oakland. Though we were all tired as hell, we ended up making great time so we decided to stop in San Francisco to get some food and hang out for awhile. Eventually, after some pizza and some Golden Gate Park romping, we took a bus back to the van and hit the road for Oakland.